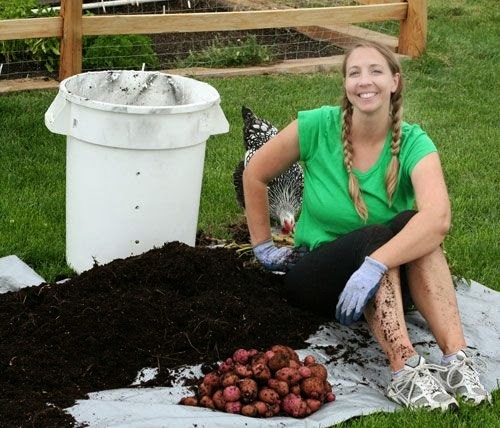 This was my first time ever growing potatoes and I chose to try to grow them using the garbage can method. I have been waiting all summer long, wondering just how many potatoes would be growing in there. 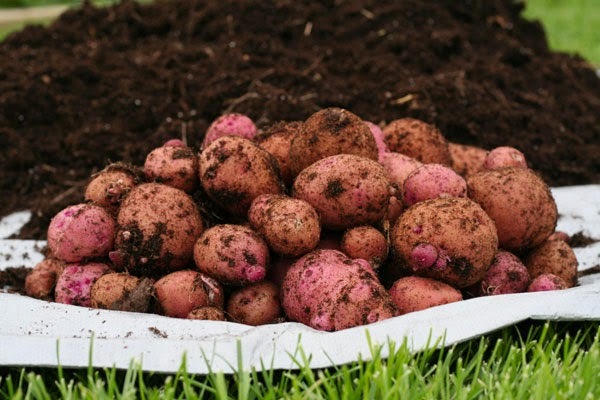 I had heard some people were able to get 25 lbs of potatoes from just a few potato seeds. I planted around 5 little red potato seeds. And then added dirt as the plants grew upwards.